This Easy Runner is a Quick Project! Display sharmrocks for St. Patrick’s Day with this pretty runner. It’s a quick project and will be lovely in your favorite shades of green. You may already have what you need in your stash. Or, select a package of 2 1/2″ jelly roll strips in coordinated colors. 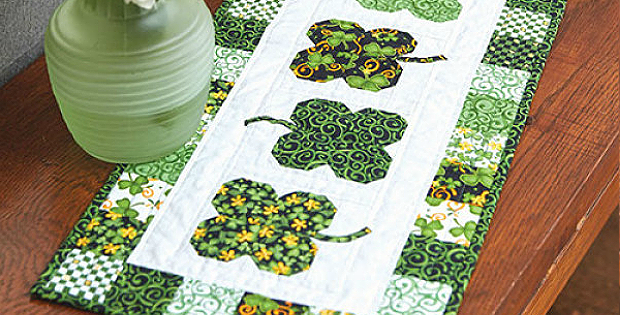 The shamrock blocks are easy to put together, while the stems quickly applique in place with fusible web. Once completed, the runner from the Fons and Porter Staff is 12″ x 30″. 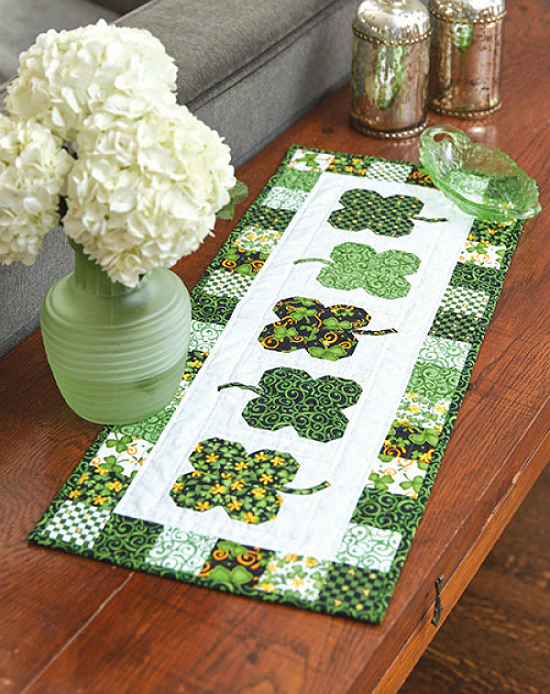 Click here to purchase the “Luck O’ the Irish” quilt pattern.